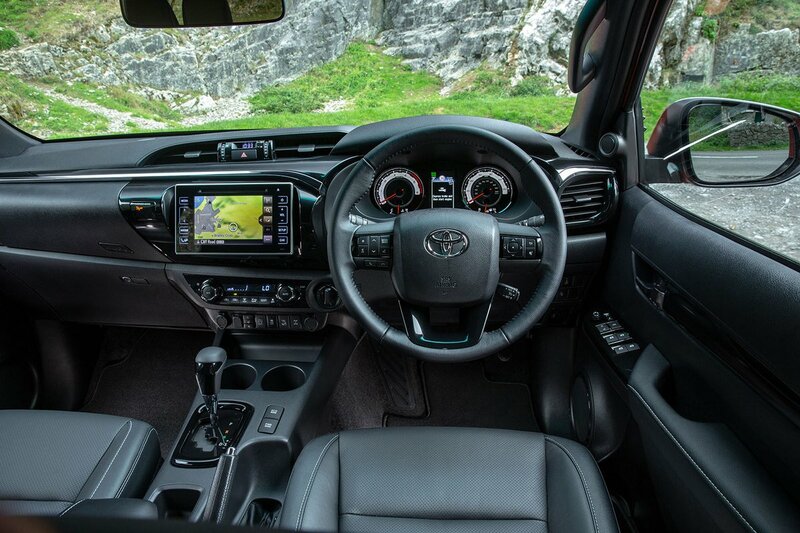 Toyota Hilux Interior, Sat Nav, Dashboard | What Car? 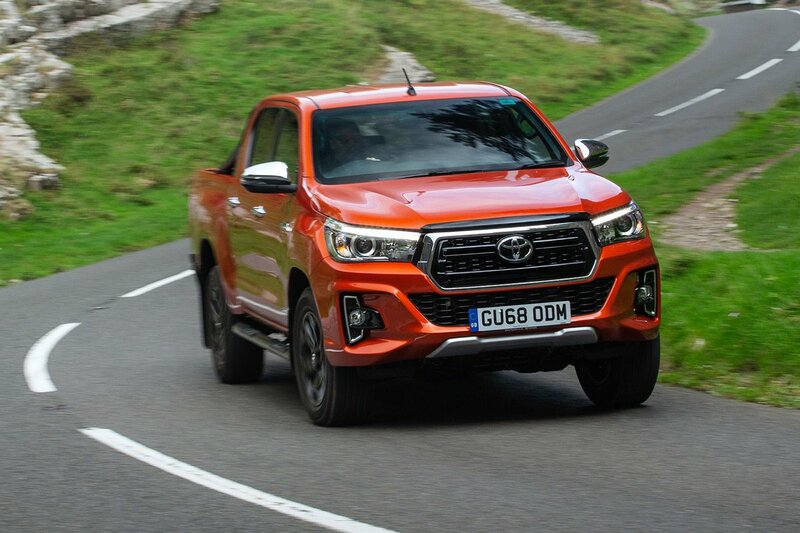 At first glance, the Hilux’s interior appears modern thanks in part to a 7.0in touchscreen and 4.2in information display in front of the driver that are both standard on all but Active trim. Start to poke around, and you’ll soon realise that the materials used are all hard and scratchy. As with most trucks, durability is more of a consideration than luxury. That said everything does feel well screwed together with switches and controls that operate with precision. Less impressive is the infotainment screen that can be a little slow, has small icons and looks dated. Sat-nav is also a fairly expensive option on all but top-spec Invincible X models. 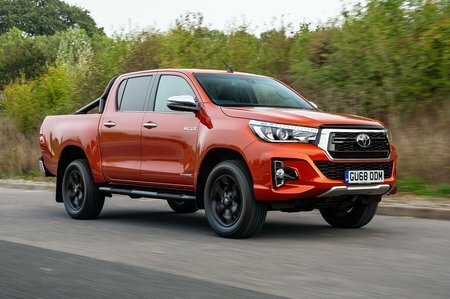 As the name suggests, you certainly sit high up in the Hilux; it’s actually one of the few cars where side steps are actually useful for shorter people. Forward visibility is good thanks to slim windscreen pillars and a bonnet that is easy enough to judge the end of. The view out of the back is trickier thanks to a small rear window and high bed that makes a reversing camera essential. Thankfully it’s standard on all but base Active models.